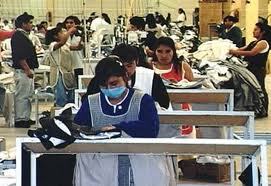 Many men, women and children face the harsh reality of life working in sweatshops which often produce garments for some popular Western brands. Much like any other industry, the ways of the fashion world faces opposition and criticisms. The ethical practices of labels have, for past years, been a point of contention and public outrage. The use of fur, toxic chemicals and non-ethical manufacturing methods are all fashion taboo, and have featured in many magazine and charity campaigns the world over. The Ethical Fashion Forum (EFF) is the industry body for sustainable fashion, and represents more than 6000 members on a global basis. By helping members, they can facilitate sustainability in the fashion sector. They see being ethical as ‘an approach to the design, sourcing and manufacture of clothing which maximises benefits to people and communities while minimising the impact on the environment.’ In effect, if you’re causing any sort of harm to either the environment or society, you’re being unethical. With a quick moving attitude towards the need for label transparency, are they up keeping with the times and adjusting to fit their practices to fit with modern day society culture? Swedish high street giant H&M are one of the increasing number of companies making a major commitment to its ethical trading transparency alongside others, such as Marks & Spencer and Zara. H&M have taken a step towards improved transparency by releasing names and locations of each of their factories to the general public. 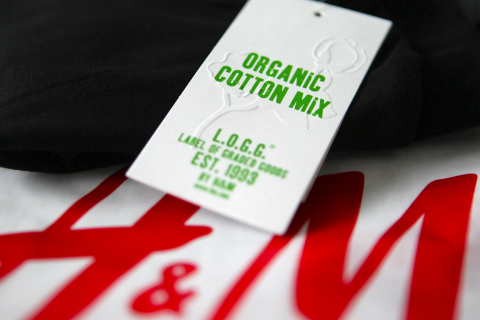 Not only have they upped the ante with regards to transparency, H&M also claim to be the largest user of organic cotton in their products. Much literature online is contradictory, with clashing ‘evidence’ about H&M’s genuine intentions and responsibilities, making it harder for interested parties to understand the reality of transparency. H&M pride themselves in their organic cotton use. Not all labels have been in the media for their concentration on ethical practice however, as some have come under fire for precisely the opposite. Sweatshops are a sad reality for a lot of people, as are the increasing number of accidents happening at the factories, much like the latest disaster to hit a garment factory in Bangladesh. Incidentally, it was a factory producing Primark garments. We mustn’t forget that brands aren’t always aware of in charge of these sweatshops, however mass clothing production companies who wish to demonstrate ethical and transparent practice should still have open eyes to prevent their products coming from unethical locations. Nike is an example of a company exposed for unethical treatment of employees. In 2010, the sports supergiant was accused by Honduras employees for owing more than $2 million following the abrupt closure of two of their factories. It isn’t just Nike however, who have been targeted in the media for unethical production methods. Sweatshops aren’t the only fashion faux pas in the way of business and transparency ethics. According to an investigation last November commissioned by global campaigning organisation Greenpeace, producers have been using certain chemicals in fabrics and dye, which has been found to be toxic and even carcinogenic. The investigation named Toxic Threads* delved into the worldwide use of hazardous chemicals in high street fashion. The latest Detox campaign report found residues in clothing, one being nonylphenol ethoxylates (NPEs), which go to form hormone-disrupting chemicals. Garments from brands such as Jack Jones, Levi’s, Gap, Diesel and Victoria’s Secret were all found to contain these NPEs, alongside other chemicals like toxic phthalates (DEHP & DINP), which can damage fertility or unborn children. The shocking results named Calvin Klein as one of the worst offenders, with 88% of their clothing containing such chemicals. 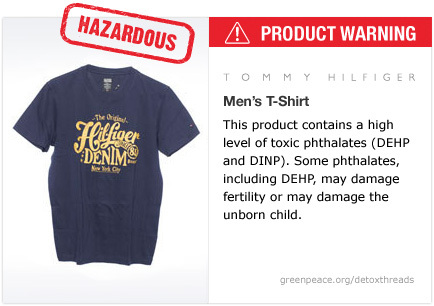 Example of one of the garments the Greenpeace Toxic Threads report found to be hazardous. This Greenpeace report, and others like it, aim to publicise findings which promote transparency and allow consumers to know the reality behind brands and their products. But is it all up to retailers to show customers their commitment to ethical practice? Do all people care? Perhaps if the issue of ethical production is important to shoppers, they will research themselves and avoid the worst offenders of unethical practices. With the current culture of campaigning for Fair Trade, ethical product creation and the fair treatment of workers in less developed countries on a sharp increase, the call for company transparency seems to be here to stay. If we can fight for fair trading with overseas food producers, why can’t we attempt the same in the fashion sector? I hope Ethical Fashion Forum catches-up, but don’t know a way that ordinary members can force them. They have some quite decided views, too, as a body that mushroomed-up mysteriously with backing from some public-sector bodies the same year that the Multi Fibre Agreement ended. Ethical Fashion Forum’s Issues pages caution people against buying UK goods on ethical grounds, reasoning that we have to buy so many pairs of jeans that eventually Bangladeshi wages will go up, even without any kind of welfare state on Bangladesh or tariff pressure to get one. At least, I think that’s their argument. They provide a link to another pop-up lobby group about the Multi Fibre Agreement called the “MFA Forum”. ♦In Europe: European Commission to add to conditions on its 0% tariff trading partners, requireing a national insurance system in each country. ♦In Bangladesh: Bangladeshi government to catch-up on its human rights commitments, made to get a 0% tariff, and introduce more girls’ schools and a national insurance system. ♦In the UK: Department for Business and GLA to alter London Fashion Week, so that UK factories nominate stallholders, and stallholders name their supply chains. Ethical selection of stallholders to be judged by experts, not fashionistas. ♦In the UK: Department for Business to release more tax data about the UK companies that exist and help anyone who wants to build any directory of UK-based manufacturers, including clothing manufacturers. ♦In the UK: Government to find ways of bringing unemployed landlords and their workshop space back into work at market rents, however low.